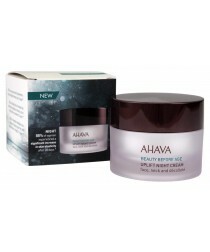 AHAVA Age Control Brightening & Anti-Fatigue Eye Cream a special blend of Dead Sea minerals, botanical essences and skin-healthy vitamins is perfect for the delicate eye skin area. 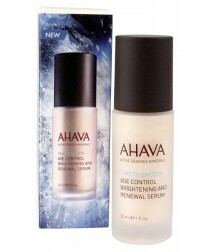 It is a rich natural formula that soothes and smoothes to provide a younger appearance. Size: 15 ml / 0.5 fl. oz. 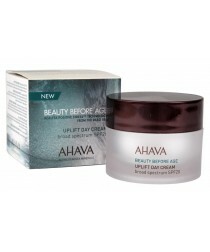 AHAVA Uplift Day Cream broad spectrum SPF 20 a innovative, extreme-replenishing day cream elevates sagging skin and refines facial contours. Deep wrinkles begin to fade and youthful glow returns. Size: 50 ml / 1.7 fl. oz. 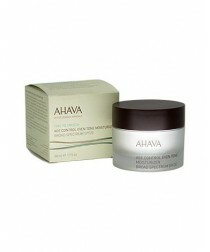 AHAVA Uplift Night Cream. While you sleep, skin becomes supplely soft, more raised and elastic. This innovated, ultra-restorative night cream works to extremely lift, tighten and reinforce skin contours, including fragile neck and décolleté areas. Deepest wrinkles are decreased, and skin is smoother, stronger and radiantly rejuvenated each morning. Size: 50 ml / 1.7 fl. oz.